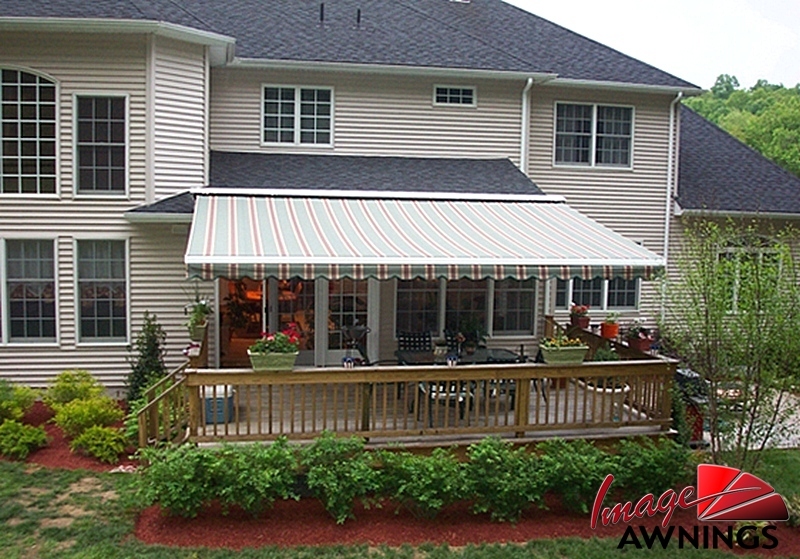 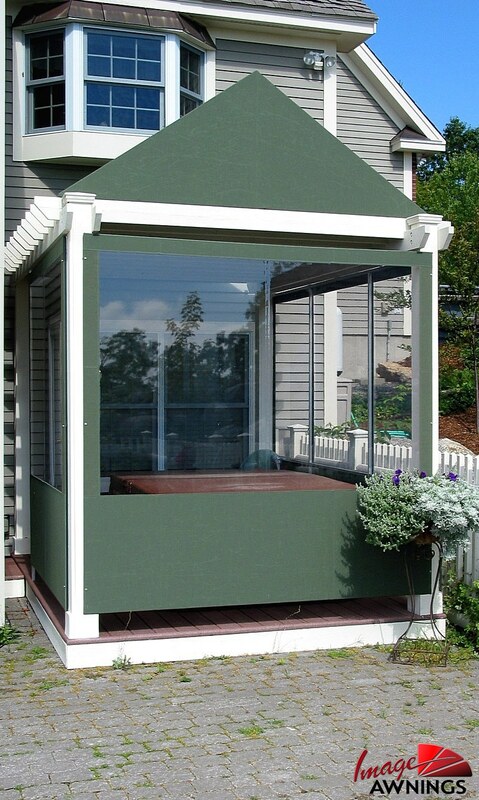 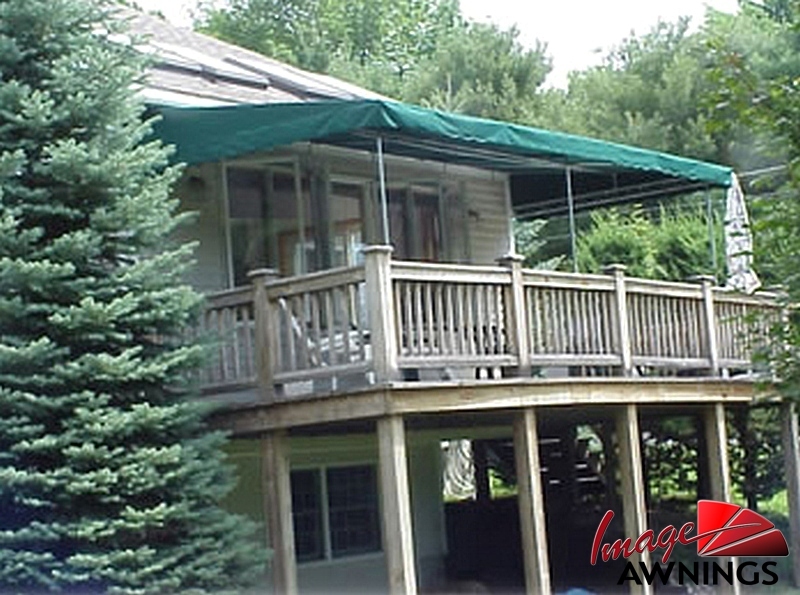 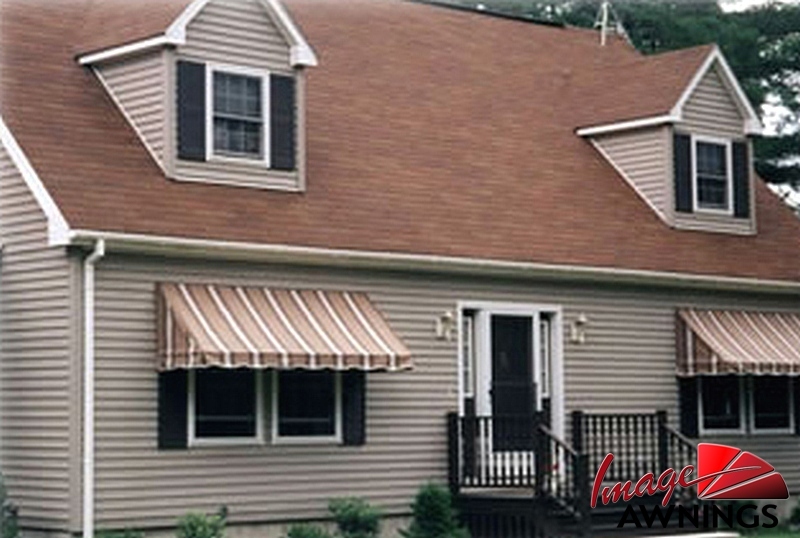 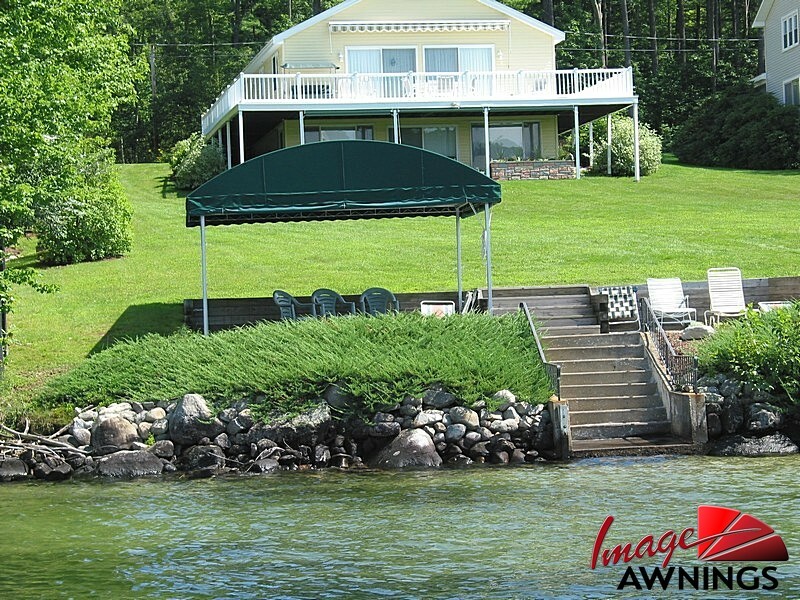 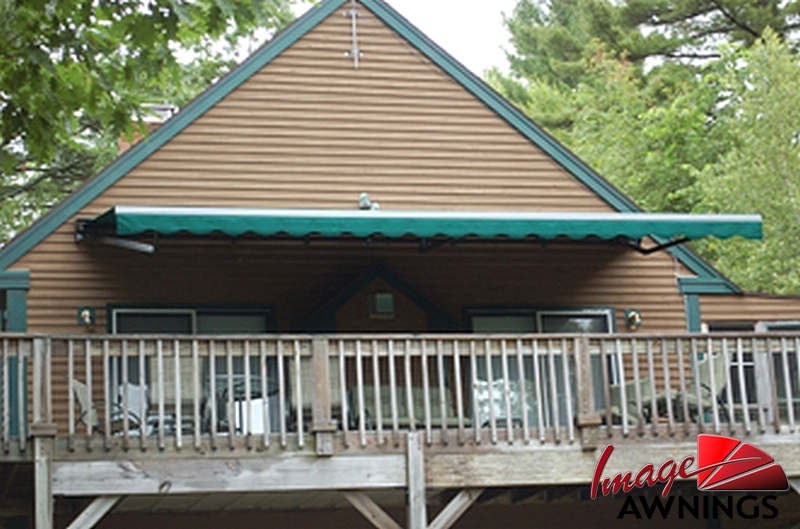 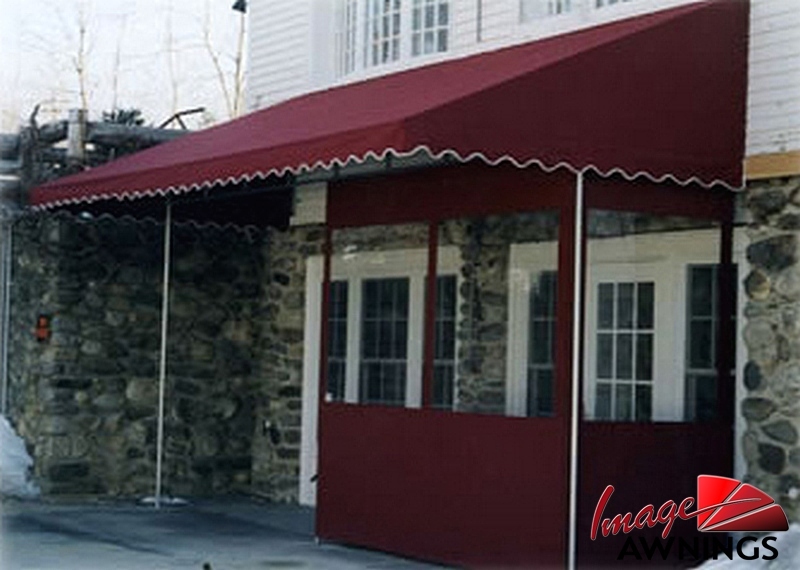 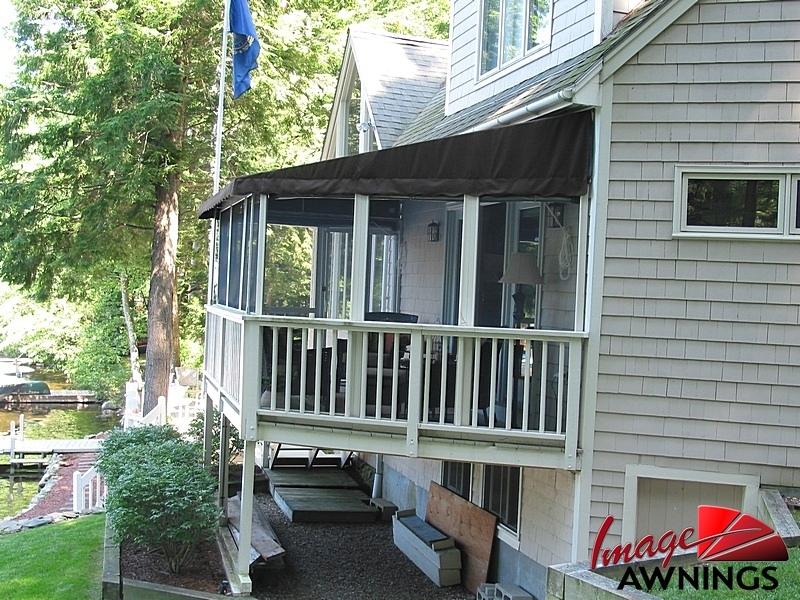 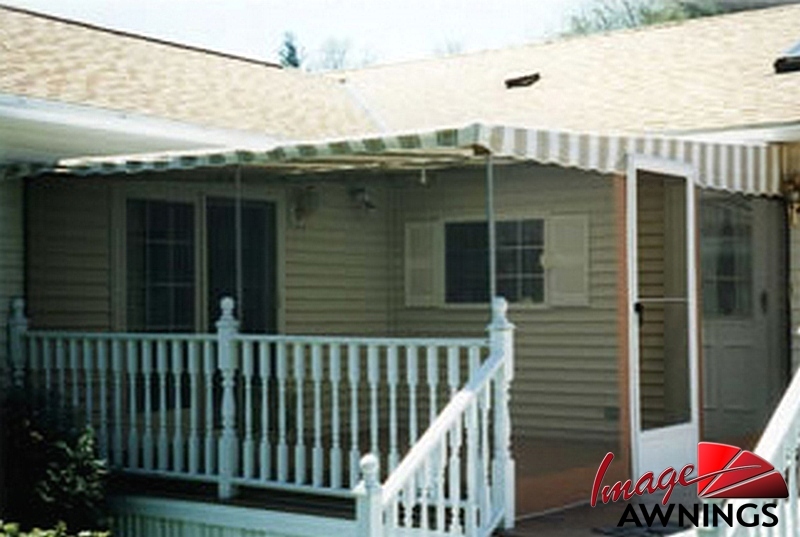 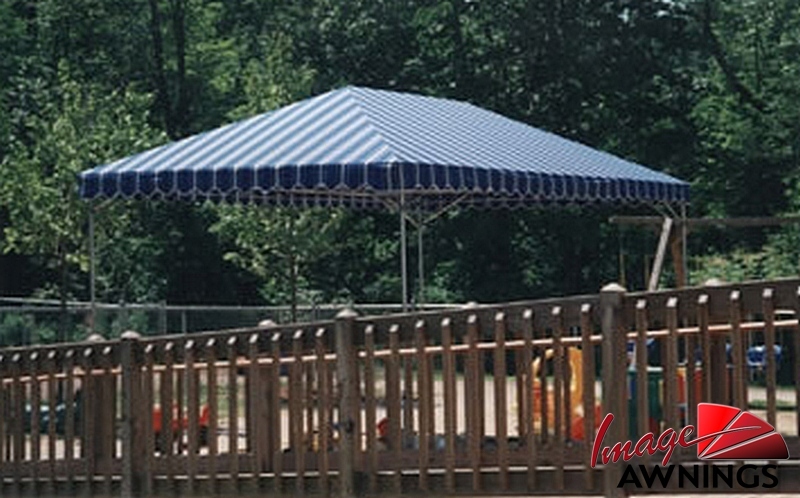 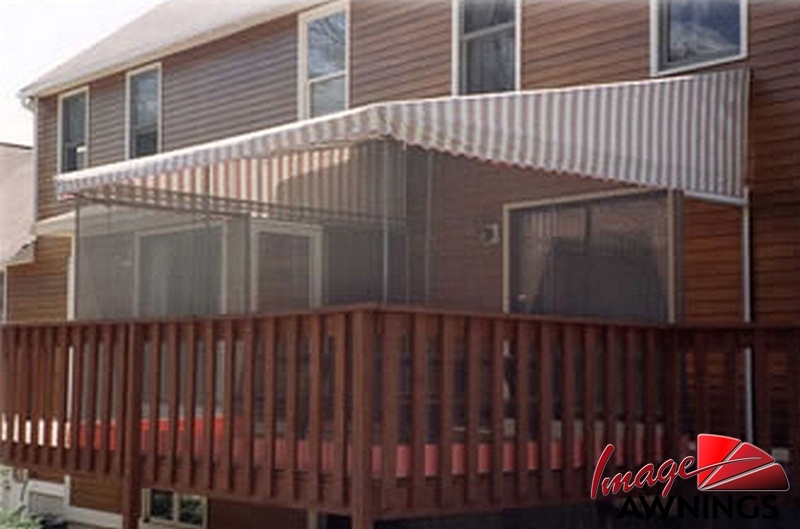 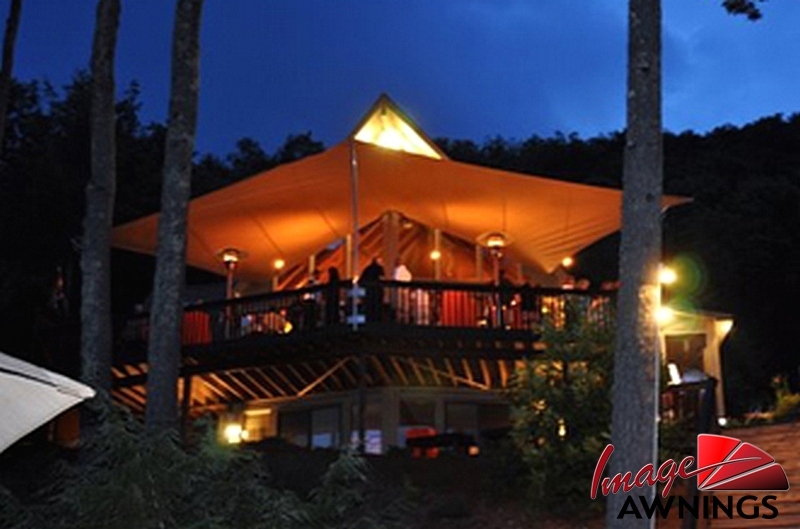 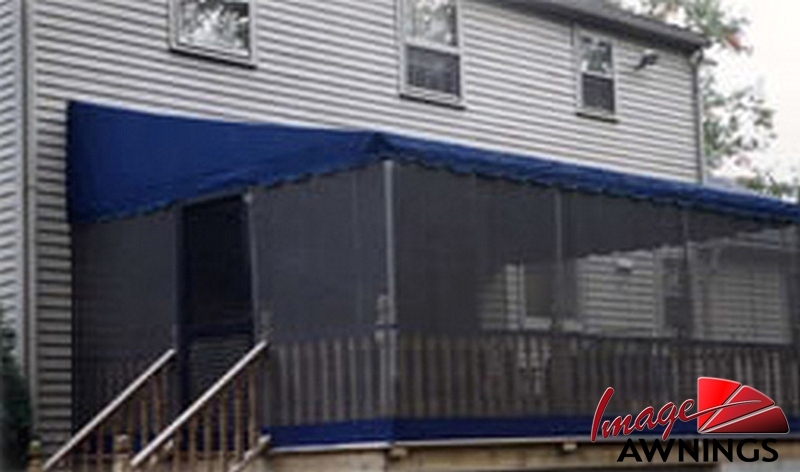 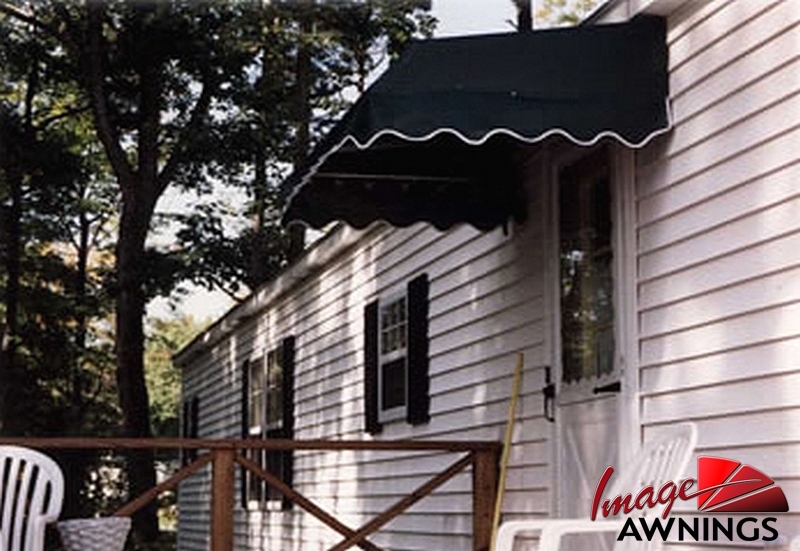 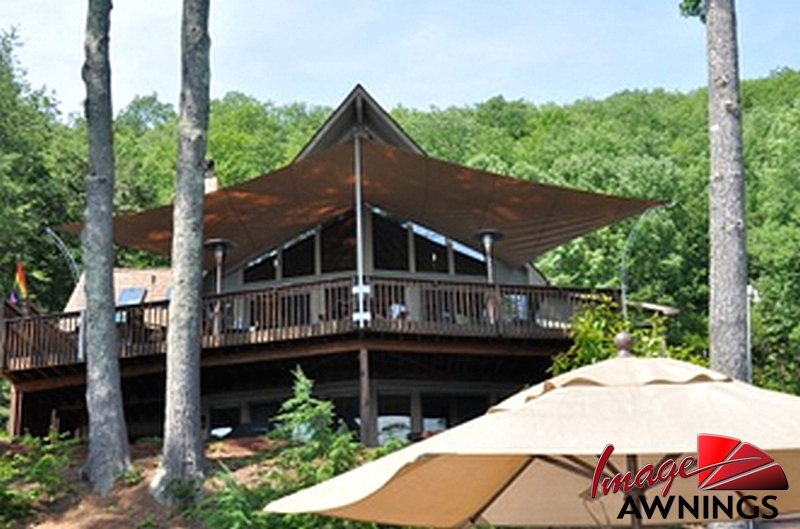 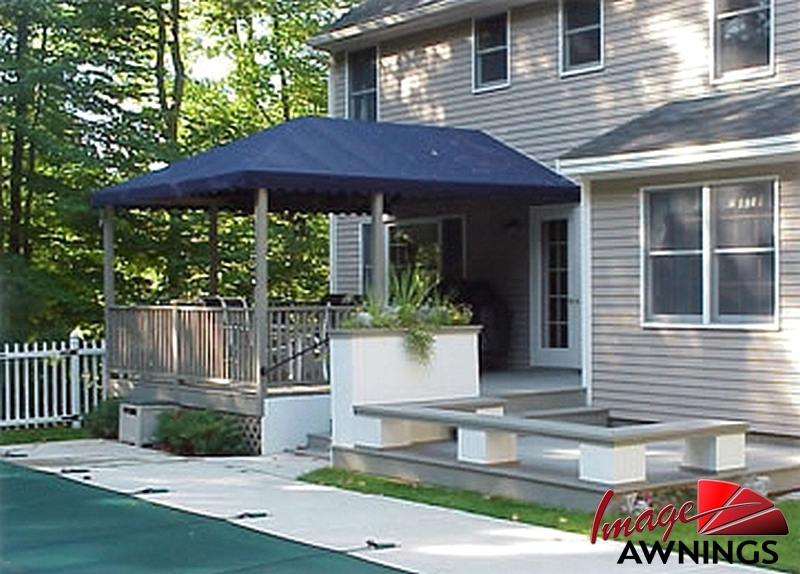 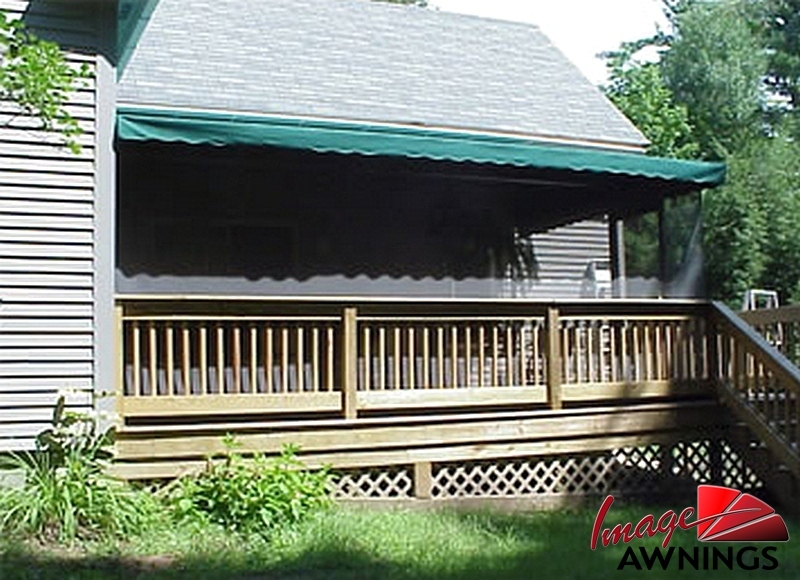 Fixed awnings and canopies made from Sunbrella® fabrics can make the most beautiful house even more attractive. 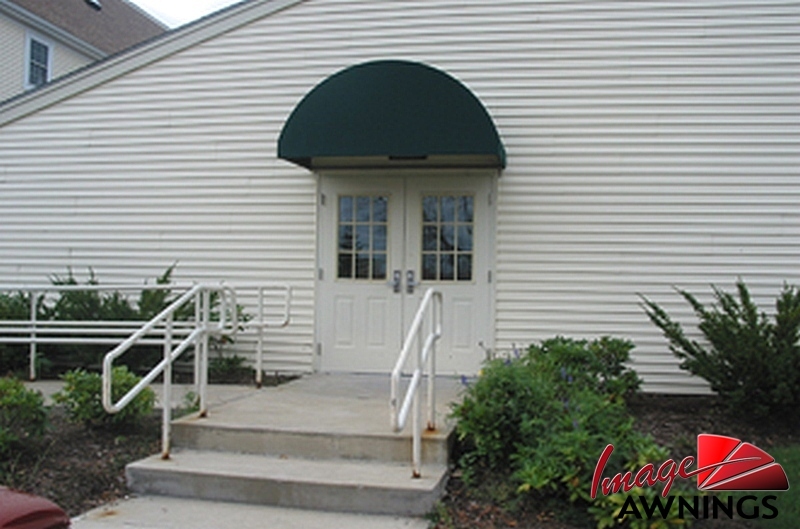 But looks aren't everything. 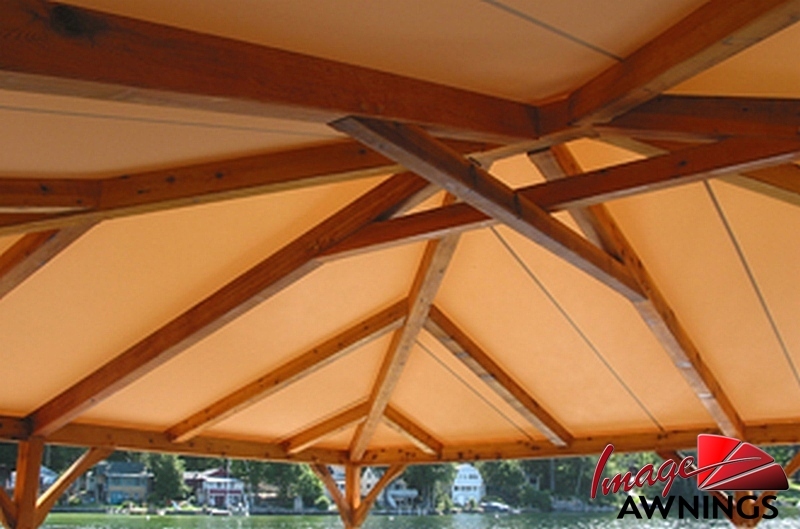 Sunbrella also helps you save on energy costs. 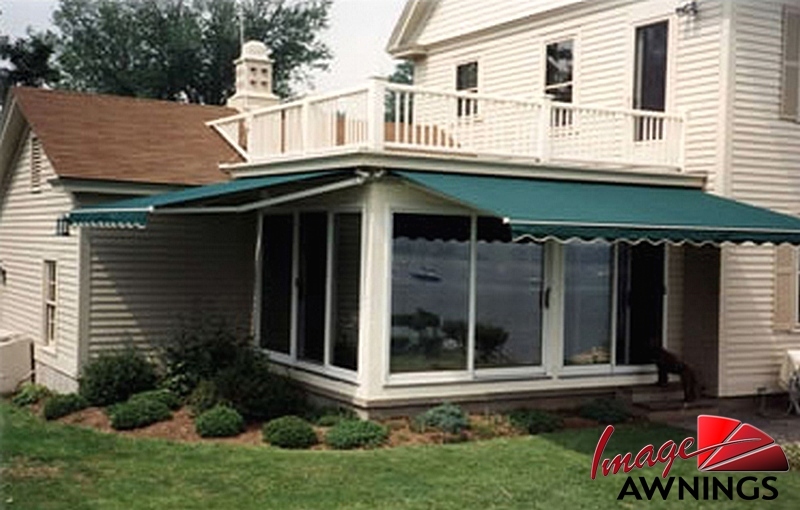 By using awnings, you can keep your home 8 to 15 degrees cooler. 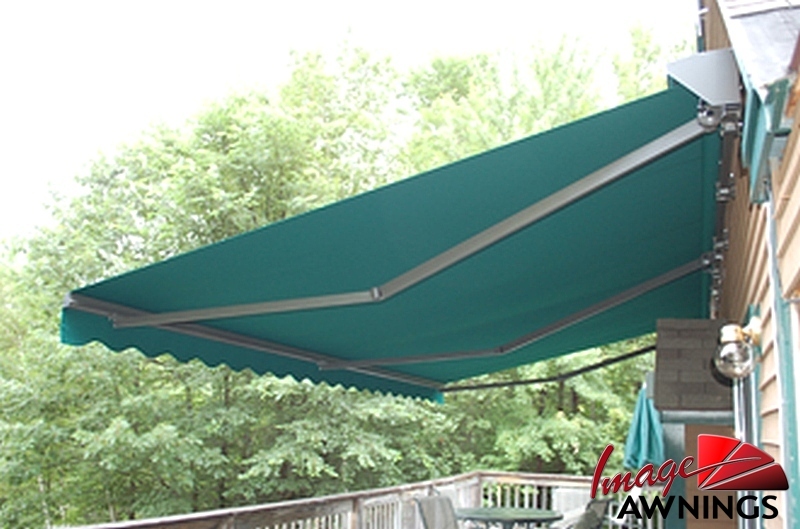 And because Sunbrella is a breathable acrylic fabric and doesn't trap heat and moisture, you could reduce your air conditioning costs as much as 25%. 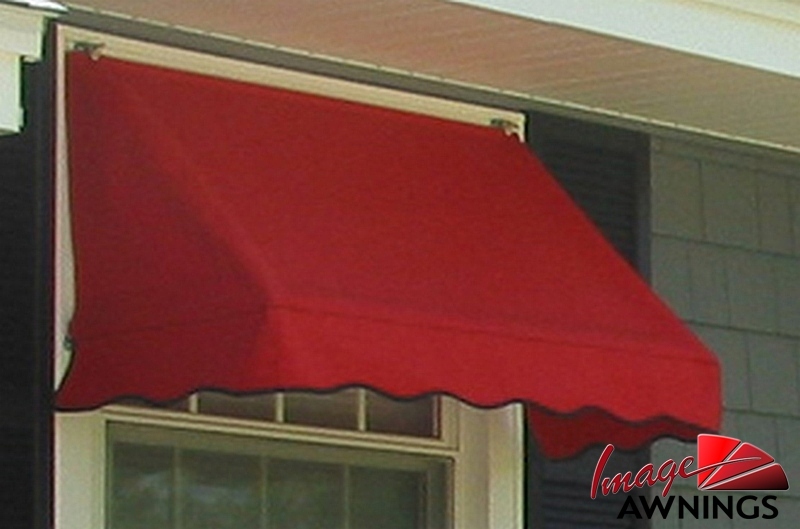 Best of all, Sunbrella colors stay vibrant for years, even in the harshest sunlight, which makes them a great home addition. 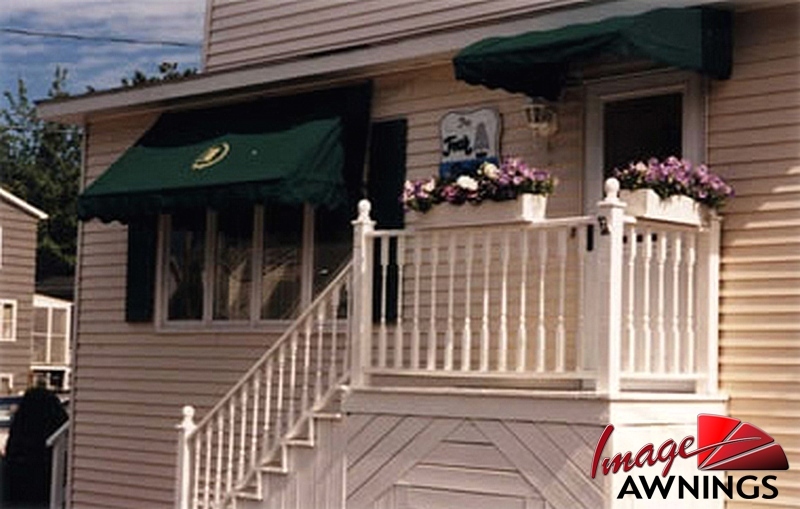 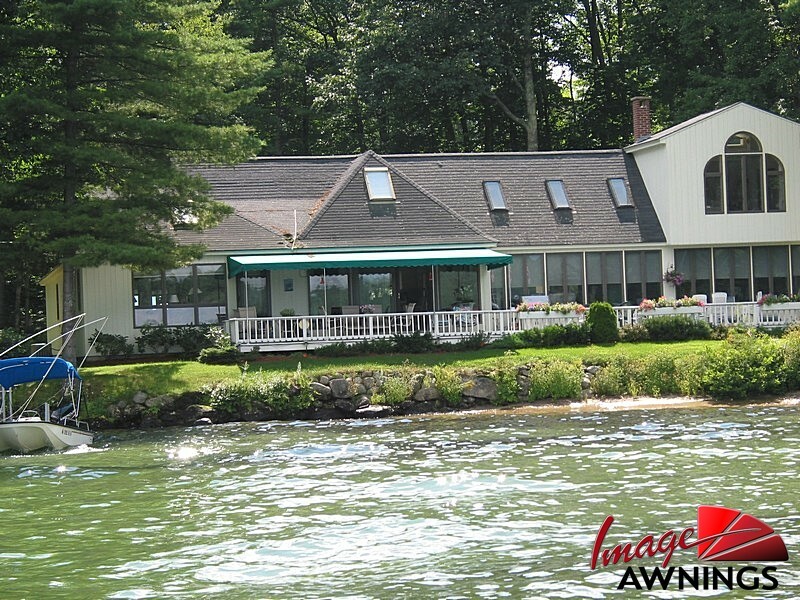 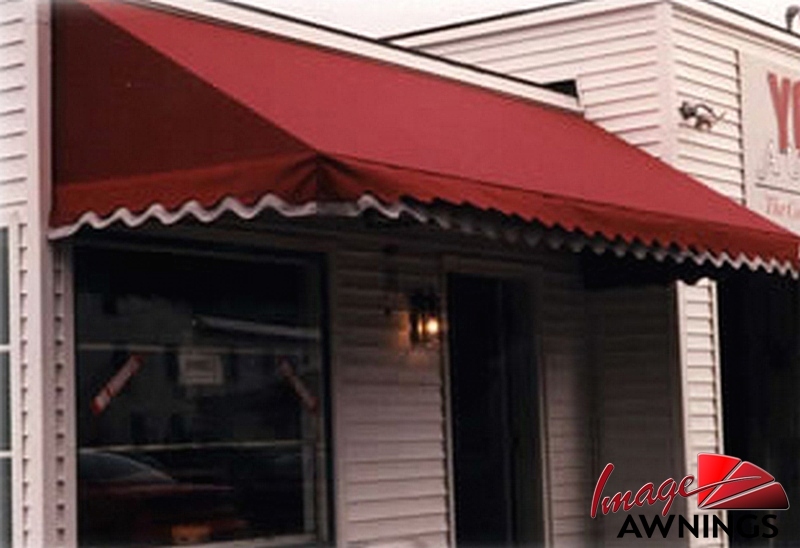 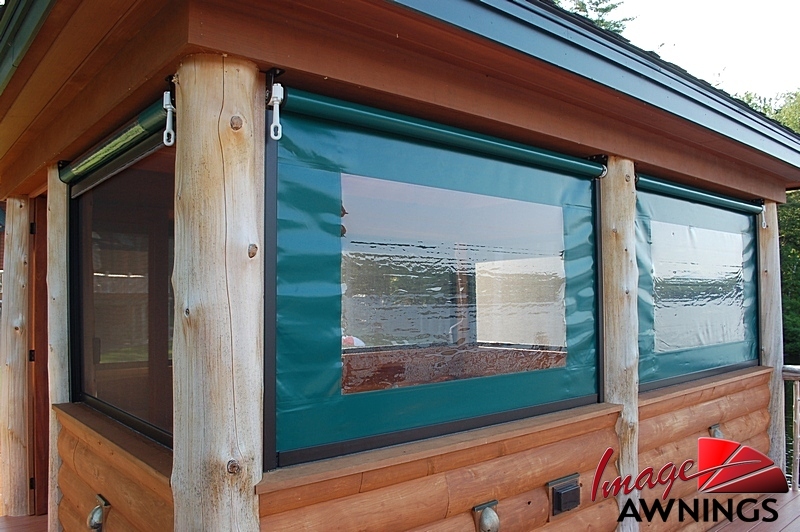 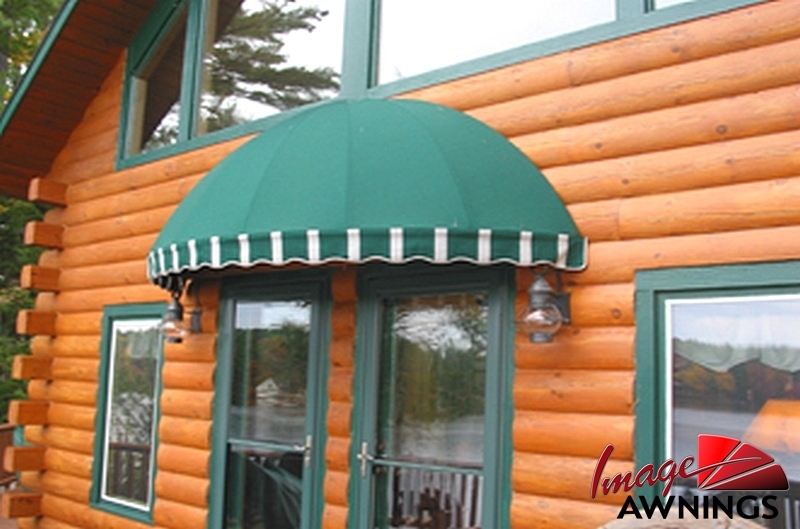 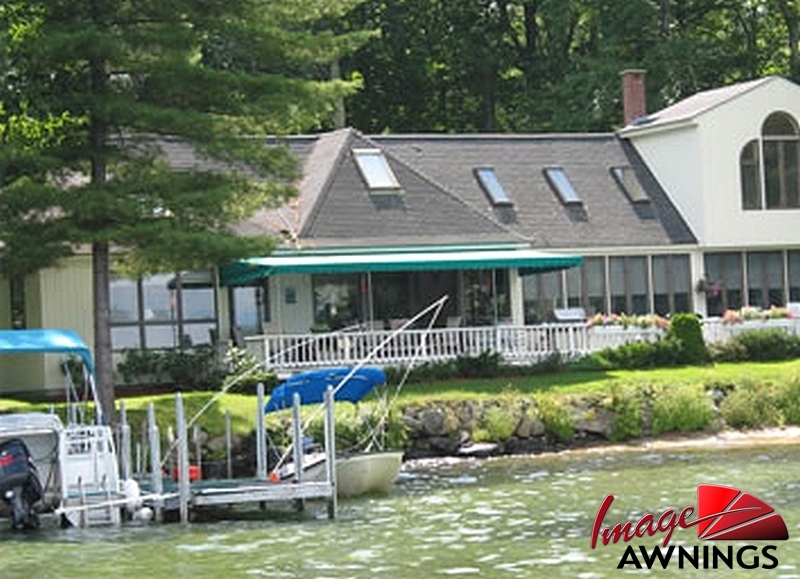 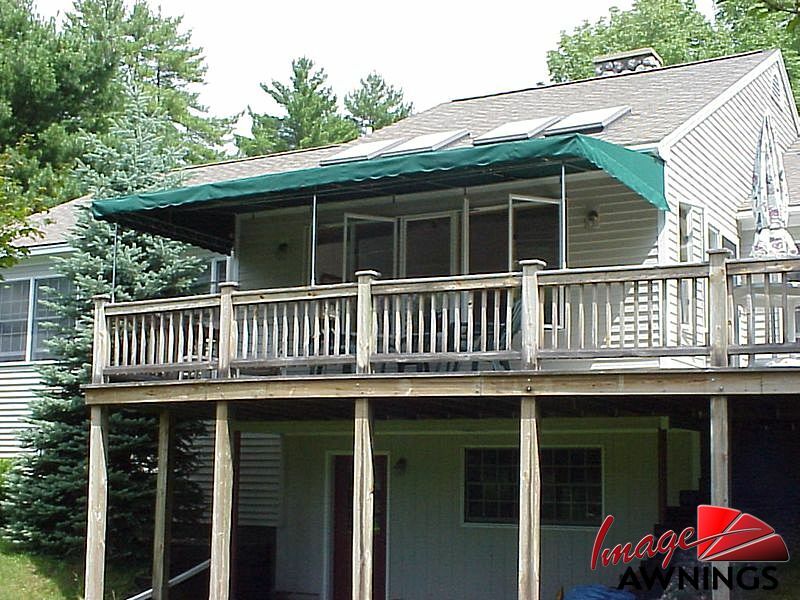 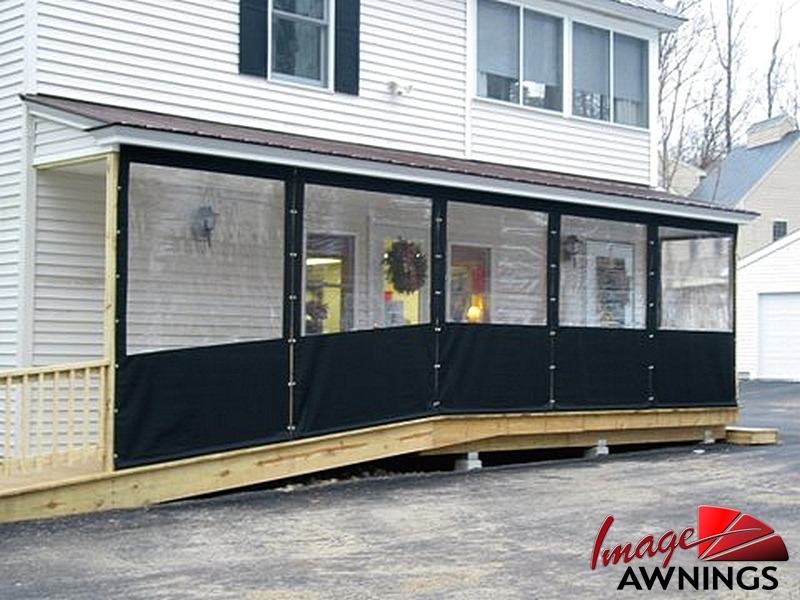 ...made and installed throughout NH by Image Awnings of Wolfeboro, NH.